The Russian Gambling Law2 defines gambling as a risk-based agreement on winnings entered into by two or more parties among themselves or with a gambling operator according to the rules set by the gambling operator. The risk element is an essential characteristic for classifying an activity as gambling, especially given the absence to date of detailed regulations on different types of games of chance. b a bookmaking shop is defined as a gambling venue in which a gambling operator organises bets between itself and players. The Gambling Law also encompasses the concept of remote gambling, which entails any form of gambling ‘using data and telecommunications networks (including the Internet) or means of communication (including mobile communications)’. Lotteries do not constitute gambling within the meaning of the Russian Gambling Law’s definition, and are regulated independently. The Lotteries Law3 defines a lottery as a game conducted pursuant to an agreement in which one party (the operator) holds a draw for the prize pool of the lottery and the other party (the participant) is entitled to receive the winnings if deemed the winner in accordance with the terms of the lottery. Russian law and practice do recognise legal concepts such as public promise of a prize, public competition and promotional event, which allow games of skill, business promotions with prize draws and similar contests to be held without triggering gambling or lottery regulations. However, the statutory language dealing with each of these types of events is vague or limited, and official guidance is lacking. Thus, companies operating such events should be careful to avoid any elements characteristic of gambling or lotteries, such as a risk factor, an initial stake (bet) or purchase of a lottery ticket, a lack of objective (non-risk based) criteria for determining the winner and a lack of judges. Prior to 2009, derivatives were regarded from a legal standpoint as a form of gambling, which largely deprived the parties to derivative transactions of any legal means of enforcing their agreements in Russia (because of the fact that, as a general rule, most claims arising out of the operation of or participation in gambling are not cognisable under Russian law).4 However, as of 2009, derivatives have been expressly regulated by the Russian Securities Market Law5 and are no longer treated in the same way as gambling. Russian public policy has tended, particularly in recent years, to reflect conservative and religious values, which naturally promote a more restrictive and paternalistic approach to the regulation of gambling. Accordingly, as of 1 July 2009 gambling is only permitted within specially designated territories termed gambling zones, of which there may be no more than five, all of which are currently located in relatively remote regions and are generally underdeveloped. However, this restriction does not apply to bookmaking and totalisator betting, which are allowed both within and outside the gambling zones, as well as online. Lotteries must be authorised and operated by the state, and are conducted nationwide. Before engaging in the organisation or operation of gambling activities, operators must obtain the relevant licence or permit. Bookmakers and lottery organisers are required to make mandatory payments to sports federations and to the federal treasury ‘for important social purposes’, respectively. Losses from participation in gambling and lottery cannot be insured. Poker is treated as a form of gambling, not a game of skill (although it had previously been, for a short time, considered a sport). As mentioned above, very limited legal protections are available in relation to gambling, and these amount mostly to enforcing payout of winnings. At the same time, Russians’ propensity for gambling is well documented.6 Owing to the lack of easy access to lawful gambling venues in the five permitted gambling zones, Russian people turn to remote gambling despite the fact that many online casino sites have been blocked by Russian internet service providers in compliance with the rulings of Russian authorities. Given the budgetary challenges facing Russia in recent years, Russian officials speak, both in the media and at industry events, of liberalising certain aspects of gambling regulations. However, the draft laws that have been put forward so far have scarcely reflected this attitude. Russian gambling operators are private Russian companies that are required to obtain either a licence for nationwide operation of totalisator or bookmaking shops, or a permit to operate in a specific gambling zone. The requirements for gambling operators are quite strict, and the process of obtaining the licence or permit can be burdensome. e Krasnaya Polyana (Krasnodar region, specifically, Sochi). All five zones are technically active, in that they each have at least one gambling venue open, but are little developed. Azov-City, frequently regarded as the best developed gambling zone, is scheduled to be closed by 1 January 20199 owing to the opening of a gambling zone in Sochi, while an as yet unidentified gambling zone is planned in Crimea. The abrupt announcement of the impending closure of the Azov-City gambling zone did little to reassure potential gambling investors. Existing casinos are lobbying for the zone’s preservation (notably, only those operators that received their permits before 23 July 2014 may continue to operate in Azov-City pending its closure). The same law that mandated the closure of Azov-City provided some limited comfort to current and potential gambling operators, by providing that henceforth a gambling zone cannot be closed until at least 10 years after its establishment. However, the law does not prevent the authorities from closing on short notice a gambling zone that has existed for the requisite 10-year period. Bookmaking shops and totalisators can operate nationwide under a licence issued by the Federal Tax Service. State lotteries also operate nationwide, or, if permitted by an international treaty of the Russian Federation, in the territory of both Russia and other countries. Because only Russian entities can acquire the licences and permits required to act as gambling operators, it is illegal for offshore operators to offer gambling directly in Russia. However, there is no prohibition on foreign-owned Russian companies obtaining a gambling operator’s permit or licence. Obviously, Russian regulatory authorities face jurisdictional constraints on their ability to impose sanctions directly upon offshore operators, which usually have no actual business presence or assets in Russia and only provide digital access to gambling sites. Therefore, the principal means of combating offshore operators is to include their websites, and related sites (e.g., advertising sites or e-money sites that explicitly allow payments to offshore gambling operators), in the ‘prohibited websites register’.10 Russian internet service providers are required to block access to such websites, unless and until the prohibited content is removed. More detailed information on the prohibited websites register is included in Section II.v, infra. Furthermore, because the Russian Advertising Law11 prohibits the advertising of any illegal services, and of licensable services without the relevant licence or permit, advertising the services of an offshore gambling operator is illegal in Russia. Russian officials have long considered the possibility of imposing sanctions on payment operators and other services providers for facilitating payments to offshore or otherwise unlicensed gambling operators, and penalising Russian nationals for participating in illegal gambling. Several draft laws on the matter have been submitted without success, although another such bill is pending before the Russian Parliament at the date of this publication. The Civil Code includes only cursory regulation of gambling activities, setting out basic principles within several articles of its Chapter 58. Instead, the principal regulations are contained in the Gambling Law and the Lotteries Law. The government has adopted a variety of ancillary acts to both the Gambling Law and the Lotteries Law, dealing with such matters as licensing, operator requirements and reporting requirements. At the regional level, the legislatures of each region where a gambling zone is located may adopt acts within their competence in relation to the operation of that particular gambling zone. 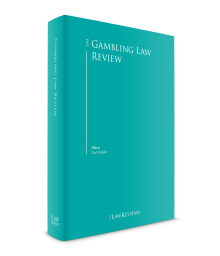 Various other provisions relevant to the regulation of gambling (such as advertising regulations, anti-money laundering (AML) requirements, penalties for breach of relevant laws, and so forth) can be found across a range of Russian laws. Nationwide, regulation and supervision of both gambling and lotteries are undertaken by the Federal Tax Service. In addition, a separate state authority is empowered to regulate each of the gambling zones specifically, including with respect to the issuance of the relevant operating permits (the gambling zone authority). For example, the Department of Tourism, Resorts and External Communications of the Altai Region is currently the gambling zone authority for the Siberskaya Moneta gambling zone. As explained in Section I.iv, supra, land-based gambling is only permissible in five dedicated gambling zones, none of which is significantly developed. The only exceptions are totalisator and bookmaking shops, which can operate nationwide. Lotteries, which are not treated as a form of gambling and must be state-run, also function nationwide. Remote gambling is prohibited, but online lotteries are permitted (subject to general restrictions applicable to lotteries) and operate with the use of electronic lottery tickets. c slot machine hall: a gambling venue where gambling is organised with the use of slot machines or other gambling equipment (except gaming tables). b totalisator: a gambling venue in which a gambling operator organises bets between players and pays winnings out of the amount of accepted bets after deducting the gambling operator’s fee. There is a broad range of requirements as to the location, size, outfitting and other parameters of gambling venues, including some that are specific to particular types of gambling venues. Remote gambling is expressly prohibited by law.12 In addition to levying administrative fines on entities breaking this rule, Russian authorities block the relevant websites. Specifically, the Federal Tax Service may decide to block websites that violate gambling and lottery regulations. 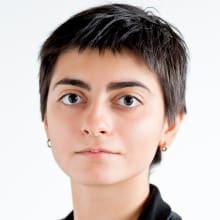 On the basis of such decisions, Russia’s key media authority, Roskomnadzor,13 includes the sites in the ‘prohibited websites register’. Upon receiving notice from Roskomnadzor, the owner of the website or the hosting provider has three days to remove the content that caused the site to be included in the register or restrict access to the site. Otherwise, upon expiration of such deadline Roskomnadzor updates the register with information on specific web page addresses of ‘prohibited websites’ (the register updates daily at 9am and 9pm). Within 24 hours from such update all Russian internet service providers must block the websites. Websites need not directly offer gambling opportunities to be included in the register; rather, any page that ‘provides information’ breaching gambling laws may be blocked. In practice, this may include advertising and news sites, among others. One of the best known examples occurred on 14 July 2016, when the websites of the payment systems Qiwi and Skrill were included in the prohibited websites register for containing references to remote gambling and describing and implementing electronic payment capabilities in favour of remote gambling operators. 14 The sites quickly deleted the prohibited comment and were removed from the prohibited websites register. Online totalisator betting and virtual bookmaking shops are permissible provided operators have the required licence. Online bets are in this case recorded and transferred by a special credit institution – a ‘centre for recording transfers of online bets with bookmaking shops and totalisators’. As noted in subsection iii, supra, lotteries may operate online, with the use of ‘electronic lottery tickets’. Gambling operators must maintain their licences and permits, and to that end must satisfy a variety of requirements such as possessing certain equipment, having rights to appropriately located and outfitted venues, and demonstrating satisfactory financial capabilities. However, their suppliers, counterparties and employees are not currently obligated to acquire a personal licence or permit solely in connection with their participation in the gambling industry. Quality certifications and similar selective requirements as to specific equipment or specific professions may apply, however. Certain persons, in particular those with outstanding convictions for premeditated crimes of medium gravity, or grave or especially grave crimes (being categories of severity under Russian criminal law) or for economic crimes cannot be shareholders of gambling operators. Totalisator and bookmaking shop licences are granted by the Federal Tax Service. Along with the application, a prospective operator must submit information on its employees; a calculation of its net assets and information on its charter capital with the required evidence of sources of funding; copies of documents demonstrating that it owns the necessary equipment; and the plans of venues meeting the legal requirements. The formal period for consideration of a licence application is 45 business days, but an applicant should budget additional time for the Federal Tax Service to request additional documents and make other queries, with the expectation that the process may be drawn out because of bureaucracy. In practice, obtaining a licence can take several months. The initial licence fee is 30,000 roubles, while licence reissuance (e.g., because of change of address of the gambling venue) or issuance of a duplicate costs 10,000 roubles. Licences do not have an expiry date. The operator must become a member of the relevant self-regulating organisation (of totalisator or bookmaking shop operators) within 30 days after acquiring the licence. Obtaining a permit to organise gambling in gambling zones is governed by acts of the region where the gambling zone is located. The procedures are more or less similar from one region to another as well as to the procedure described above for obtaining a totalisator or bookmaking shop licence. The operator applies to the relevant gambling zone authority and provides documents evidencing that it meets the applicable requirements. There are some differences between the requirements for a gambling operator as opposed to a totalisator or bookmaking shop operator, most notably, perhaps, being that for gambling operators there is no minimum required charter capital threshold and the minimum required net asset value is 600 million roubles instead of 1 billion roubles. The gambling zone authority is supposed to decide whether to issue a permit within 30 days, although here too delays because of requests for additional documents and bureaucracy may be expected. No fee is payable for issuing a permit. Permits do not have an expiry date but may be voided if, inter alia, a recipient does not begin operating within three years after receiving the permit.16 Obviously, a permit will no longer be valid if the gambling zone itself is closed. Lotteries, as aforementioned, are exclusively state-organised. At the decision of the government, the relevant ministry will start a tender to engage a private entity as the lottery operator. Essential requirements for such entities are set out in the Lotteries Law. Organising totalisator betting or a bookmaking shop without a relevant licence may incur an administrative fine of 2,000 to 4,000 roubles for individuals, 30,000 to 50,000 roubles for officers, and 500,000 to 1 million roubles for companies, as well as entail confiscation of gambling equipment. Violations of gambling regulations by gambling operators may incur fines of 300,000 to 1 million roubles together with, in the most severe cases, cessation of all business activity for up to 90 days. Organising a lottery other than in accordance with a decision of the government may incur fines of up to 300,000 roubles for companies, and in lesser amounts for officers and individuals. There is no personal liability for gamblers who participate in illegally organised gambling, although draft laws to address this are proposed from time to time. There is currently a draft law on this topic under consideration by the legislature. Internet service providers that fail to block gambling-related websites on the prohibited websites register and advertisers that violate gambling advertisement regulations may also face penalties. Gambling operators (including totalisator and bookmaking shops and lottery operators) are, alongside banks, insurance companies and others, considered ‘entities dealing in cash funds and property’ within the meaning of the Russian AML Law.19 Therefore they must undertake certain AML procedures, including mandatory review of payouts of more than 600,000 roubles in value and the filing of reports with the Russian AML watchdog, Rosfinmonitoring. For tax purposes, gambling business is defined as ‘entrepreneurial activities involving the organisation and conduct of games of chance through which organisations receive income in the form of winnings or charges (or both) for the conduct of games of chance’.21 Income and expenses relating to gambling activities are disregarded for the purposes of calculation of the corporate income tax base. Furthermore, services involving the organisation and conduct of games of chance are exempt from Russian VAT, with no right to recover (or deduct) input VAT. Gambling tax is calculated and paid to the local tax authorities on a monthly basis. Lottery operators do not pay gambling tax. Their activities are subject to 20 per cent corporate income tax, where the tax base is the sales proceeds from the distribution of lottery tickets less obligatory payments (to the lottery organiser and winners) and overhead expenses. These activities are also VAT-exempt. This special taxation regime applies to companies conducting their gambling business in Russia within the local regulatory framework. The situation with offshore gambling providers is more complicated. On the one hand, the Ministry of Finance has opined that since online gambling activities are prohibited by law, the income derived from such activities is not subject to taxation in Russia. However, this opinion was expressed in a letter that is not, in practice, binding on the Federal Tax Service. The risk cannot be excluded that bets paid by Russian gamblers for remote gambling, or a tax base calculated in some other way, might be subject to 15.25 per cent Russian VAT in the light of Russia’s ‘Google Tax Law’,23 which establishes a new VAT regime for e-services to Russian customers. This law entered into force in 2017, and it is unclear whether the tax authorities will attempt to apply it to gambling providers. Generally, given that there is no precedent for applying these new legislative provisions to gambling operators, it is hard for the time being to assess the likelihood of this risk materialising. At any rate, the likelihood of practical enforcement of this tax against offshore providers remains questionable, with perhaps the most probable outcome being that tax authorities will direct payment operators to withhold the tax. Gamblers who are Russian tax residents are required to pay 13 per cent personal income tax on their winnings, while the winnings of those who are not Russian tax residents are taxable at a rate of 30 per cent. The tax base, however, varies depending on the type of game of chance, being: (i) net winnings with respect to amounts received from a bookmaking office or totalisator operator, which are subject to income tax withholding at source; and (ii) gross winnings in all other cases (including lotteries), which are subject to self-assessment and payment when the annual personal income tax return is filed. Advertising of gambling is legal only for operators holding the relevant licence or permit. d create an impression of guaranteed winning. The spring and summer of 2016 saw debates over the creation of the Krasnaya Polyana gambling zone in Sochi and the future of Russia’s best-developed gambling zone, Azov-City, which is currently scheduled for closure by 1 January 2019. The law terminating Azov-City’s status as a gambling zone did, as a measure of limited comfort, establish that a gambling zone cannot be closed for a period of 10 years after its creation. However, that date is fast approaching for the Yantarnaya, Sibirskaya Moneta and Primorye zones, with business there only beginning to develop. Moreover, there are no limitations on closing a gambling zone on short notice after the expiry of the 10-year period. In spring 2017, a new law was adopted requiring bookmakers organising sports-related gambling to enter into mandatory agreements with sports federations for the use of their symbols,26 and on the basis of such agreements to make 5 per cent mandatory payments to sports federations (but at a minimum 15 million roubles per quarter under all agreements for each bookmaker). The basis for calculation of payments (profit off bets on events organised by the relevant federations), payment procedure and draft form of the relevant agreement have been determined by acts of the government. Additionally, on 1 January 2017 Russia began implementing its Google Tax Law, which requires foreign companies providing electronic services to Russian individuals to register for and pay VAT. While the law was created with foreign IT companies in mind (hence its unofficial name), its vague wording and the lack of official guidance could result in its application to offshore remote gambling providers (notwithstanding that their activities in Russia are not legal). The industry is waiting for cases and clarifications to shed light on the application of this law, while many major players in the IT and online gaming sectors are registering for VAT. A variety of bills pending before the legislature may significantly affect gambling regulations in Russia. These include Draft Law 4689-7, which as of 5 May 2017 is before the State Duma, which seeks to make the manufacture, sale and storage of gambling equipment licensable and to hold gamblers liable for participation in illegal gambling; and Draft Law 108659-7, also as of 5 May 2017 before the State Duma and having passed the first reading, which seeks to establish a mechanism for blacklisting offshore gambling providers and other entities violating gambling regulations, and to prohibit credit organisations and other payment operators from facilitating payments to such entities. It should be noted that similar laws have been suggested and rejected in the past; however, Russian legislature is quite prolific and while many proposed bills are either rejected or ignored, investors would be wise to monitor developments closely. 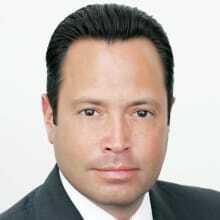 1 Alexander Skoblo is a partner and Ekaterina Merabishvili is an associate at Dentons. The authors thank Ethan Heinz and Alexey Matveev, both of counsel, for assisting with this chapter. 2 Federal Law on State Regulation of Gambling Activities and on Amending Various Legislative Acts of the Russian Federation (No. 244-FZ of 29 December 2006, as amended). 3 Federal Law on Lotteries (No. 138-FZ of 11 November 2003, as amended). 4 Civil Code, Chapter 58. 5 Federal Law on the Securities Market (No. 39-FZ of 22 April 1996, as amended). 6 For example, an October 2013 poll by VCIOM, the Russian Public Opinion Research Center, indicated that at least 16 per cent of Russian citizens had played poker. Note that this was at a time when online poker had already been made illegal, but before en masse blocking of online gambling sites. It is hard to define precisely how the blocking of online casinos affected the numbers, especially since many gambling news and statistics sites are also blocked in Russia. However, in our experience a large number of Russian players still participate in remote gambling and are important for the industry. 7 Lotteries Law, Article 13. 8 Gambling Law, Articles 9 and 10. 9 Federal Law on Amendment of the Gambling Law (No. 121-FZ of 1 May 2016). 10 The official name of this register is the Unified Register of Domain Names, Website Page URLs on the Internet Data and Telecommunications Network, and Network Addresses Enabling the Identification of Websites on the Internet Data and Telecommunications Network Containing Information Prohibited for Dissemination in the Russian Federation, which was established pursuant to Government Resolution No. 1101 of 26 October 2012. 11 Federal Law on Advertising (No. 38-FZ of 13 March 2006, as amended). 12 Gambling Law, Article 5. 13 Federal Service for Supervision of Communications, Information Technology, and Mass Media. 15 Government Resolution on licensing of gambling activities of bookmaking shops and totalisators (No. 1130 of 26 December 2011). 16 Gambling Law, Article 13(5). 17 Criminal Code, Article 171.2. 18 Code of Administrative Offences, Article 14.1.1, 14.1.1-1 and 14.27. 19 Federal Law on Counteracting Money Laundering and Financing of Terrorism (No. 115-FZ of 7 August 2001, as amended). 20 Gambling Law, Article 6.1. 21 Article 364 of the Tax Code. 22 Article 369 of the Tax Code. 23 Federal Law on Amendments to Parts I and II of the Tax Code (No. 244-FZ of 3 July 2016). 24 Advertising Law, Article 27. 25 Code of Administrative Offences, Article 14.3. 26 Federal Law on Amending Various Legislative Acts of the Russian Federation For the Purpose of Creation of Mechanics of Financing Youth Sports and Professional Sports (No. 44-FZ of 28 March 2017).